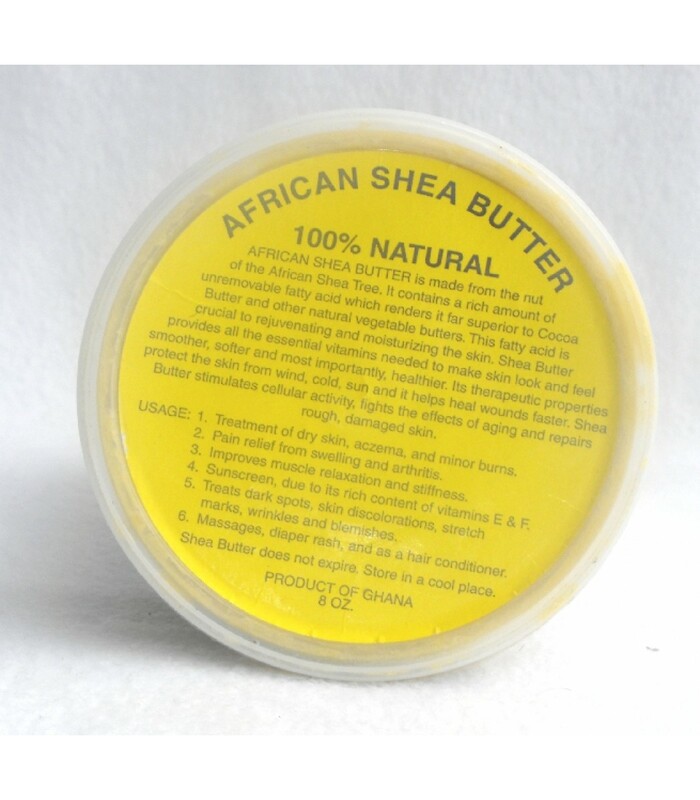 African Shea Butter Cream (100% Pure & Raw, Gold) 8 Oz. Pure Shea butter is coveted throughout Africa for its natural skin care benefits. Several great benefits of Shea butter are: Use as a shaving cream for a smooth silky shave, stretch mark prevention during pregnancy, fights the effects of aging, repairs rough damaged skin, treatment of dry skin, eczema, minor burns, pain relief from swelling and arthritis, improves muscle relaxation and stiffness, sunscreen, due to its rich content of vitamins E & F, Treats dark spots, skin discolorations, blemishes, diaper rash and as a hair conditioner.